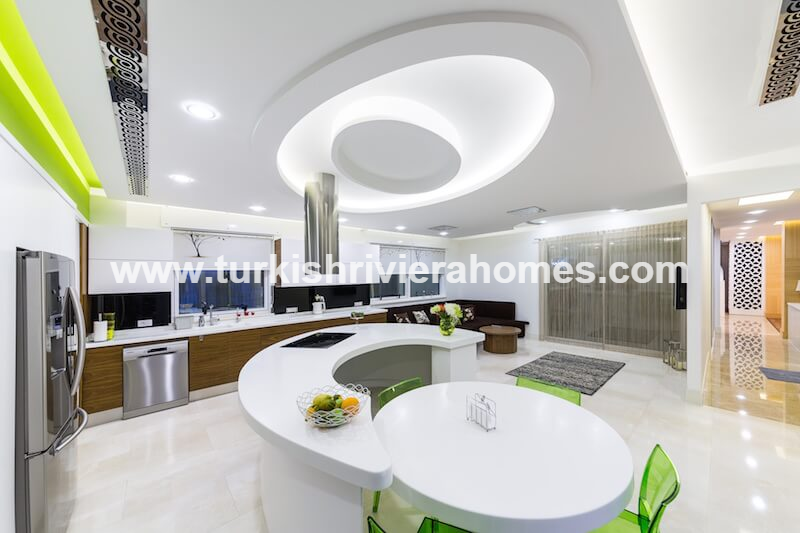 With the spectacular look and design, coupled with the elite neighborhood and setting in Antalya this is a villa that is perfect to invest in or to live in. In this location property prices are only increasing, and Antalya remains one of the most popular areas to buy houses in Turkey. For this reason, this villa is a great villa to buy. A property that is one of the most luxury that you can find in Antalya region today is this incredible home located in Yesilbayir – Dosemealti and complete with a big garden space and swimming pool among other excellent features. This villa is located in Yesilbayir – Dosemealti and is only a short distance from your property to reach local shops and supermarkets. The location is one that is known for elite living in Antalya with lots of other high quality real estate and houses nearby. 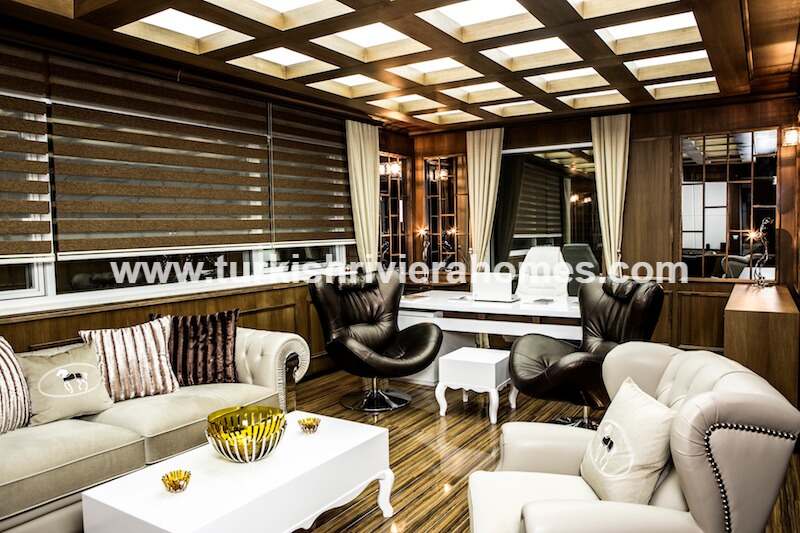 This is a property that is found in one of the most respected locations in Antalya. It is an elite zone and we recommend this area to everyone as it is so beautiful. You can drive to the local areas, and beaches and central districts can be driven to or by public transport. The villa has 3 levels, and on the ground level there is a cinema room, service and storage room, and a garage to park 2 cars. The first level has the communal living areas, with a living room measuring 79 m² and a highly modern kitchen area. There is a laundry room on this level and you can also exit the property to the garden. On the first floor there is a master bedroom which is 90 m² and has a Jacuzzi bathroom and steam bath access, also a dressing room. There is a 35 m² boys room, 40 m² girls room, and 2 guest rooms. The girls room has a bathroom and dressing. Gardens measure 750 m² and feature a waterfall swimming pool 36 m² and a winter garden 25 m². There is parking and the property is very secure and private.